The earliest religious services were held at the homes of various members of the community, especially in the home of Germund and Catherine Johnson. The Johnsons donated land across the road from their house for the essential burial ground (now the Hessel Valley Lutheran Cemetery) and this became the site of the first church built by Swedish immigrants in our area. When Rev. 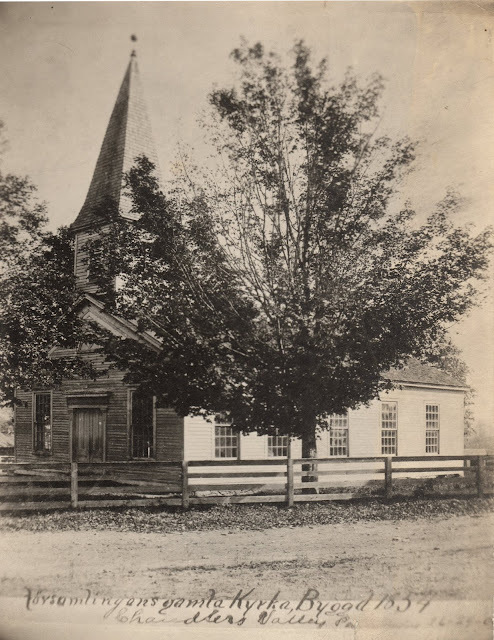 O. G. Hedstrom returned to the area to establish the Swedish class in the Jamestown Methodist church in 1852, he gave money to the Sugar Grove community to construct a fence around the church (cemetery) grounds to keep the pigs out. The original wood structure no longer exists. It was built in 1854 and was a basic, nearly square, gabled house of worship with three windows on each side and likely a door between windows on the end. 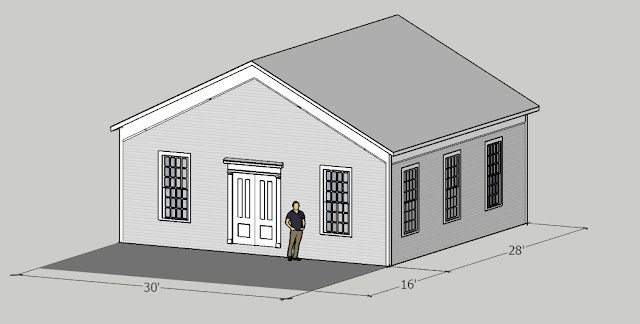 Overall, it was about 28 feet (8.5m) long by 30 feet (9.1m) wide.1 A later expansion added 16 feet (5m) of space onto the front of the building and a steeple. This is the configuration of the church as it appeared in the only known photograph. Forsamlingens gamla kyrka byggd 1854, Chandlers Valley, Pa.
Photo date unknown, collection of Jamestown First Lutheran Church. 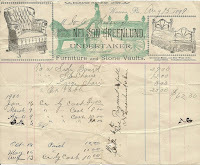 A duplicate print is in the collection of the Warren County Historical Society. 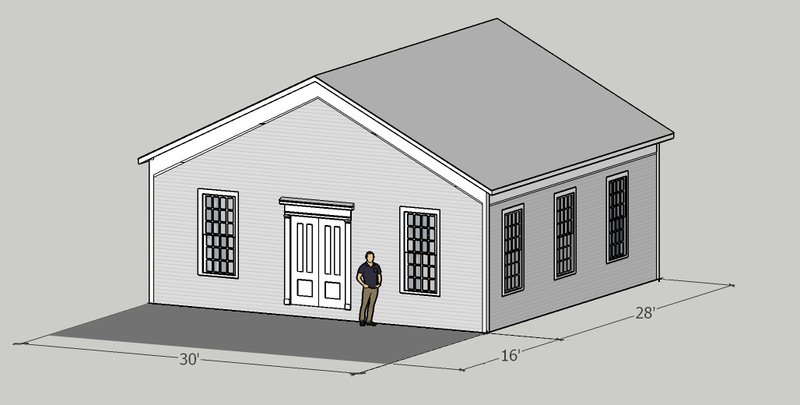 The exterior shows Greek Revival influences common in our area. It is not known if the clapboard was original or part of the improvements carried out after the Civil War. The interior details are unknown. Frederick J. Johnson was commissioned to construct the pews - there are no known surviving examples. The interiors of the churches in Hässleby and Lönneberga (the origin parishes of the largest contingents of emigrants) may suggest the detail of the ceiling and other interior finishes. 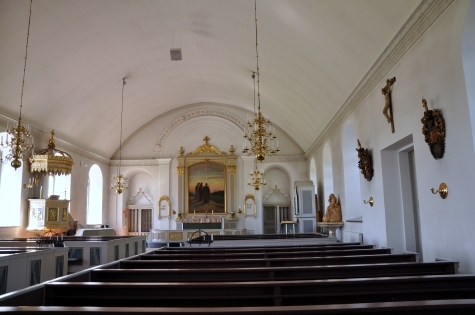 Few churches built by Swedes in America during the 1850s are known to survive. One of the oldest churches still in use is the brick Jenny Lind chapel (1854) in Andover, Illinois - the subsequent congregation of Rev. Jonas Swensson after he left Sugar Grove. 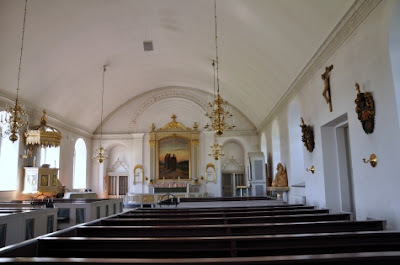 Aside from the atypical Colony Church (1848) of the Janssonist community at Bishop Hill, Illinois, the earliest (before 1860) wooden churches in Iowa and Illinois no longer exist. The New Sweden Lutheran Church in Lockridge, Jefferson County, Iowa dates from 1860 and replaced the original structure at Peter Cassel's community. 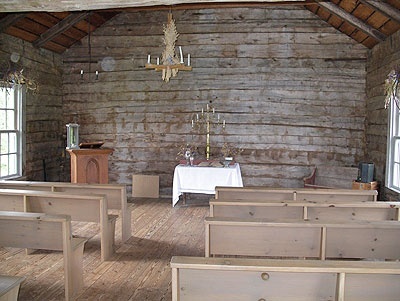 An early (1856) wooden church in Scandia, Minnesota may suggest aspects of the original structure in Chandlers Valley. Gammelgården Museum, Scandia (Washington County), Minnesota. This information comes from an article about the history of the Sugar Grove congregation published in Hemlandet almost certainly with information contributed by Frederick J. Johnson [1846.003]. Source: “Svenskarne i Sugar Grove (Pennsylvanien), Jamestown (N.Y.) och å kringliggande platser.” Hemlandet, 28 Mar 1877, page 2. 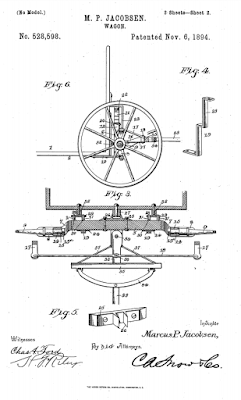 The 1865 Protokol called for the addition of 16 feet long plus steeple. §1 Beslutades att kyrkan skall tillökas 16 foll på längden med att torn i form af tornet på Methodistkyrkan i Sugar Grove och med spira. §2 Beslutades att 5 fot bredt inom kyrkadören skall afmålas för att rum, samt för trappa till uppgång i tornet. 1. It was decided that the church should be enlarged 16 feet in the length with a steeple in the tower like the spire of the Methodist Church in Sugar Grove. 2. It was decided that the church doors should be expanded to five feet wide, as well as the provision of stairs for access to the tower. The decision to build a new brick church and locate it a mile east in the village of Chandlers Valley divided the congregation. A group that included Frederick J. Johnson established the new Mission Covenant congregation across the road from the original church and cemetery. The last service in the original church was held 16 August 1885 (Anniversary Program - History of Church, collection of Hessel Valley Lutheran Church). The brick church in Chandlers Valley (Hessel Valley Lutheran) remains in service. These measurements are based on a 3D model created by the author that was then matched to the projected image of the photograph. References in the Protokol to the size of the addition provided additional guidelines for creating this model. The naturalization record for Elias Sanbury [1851.088] includes witness names that I transcribed as William Stomm and William Henry Stomm. Norman Carlson (Fenton History Center) was kind enough not to laugh at my ignorance of early Chautauqua County history – and corrected this to William Storum and his son William Henry Storum. The Storum family are arguably1 as consequential in history as the Prendergasts and yet I did not recall ever learning about this pioneer family of Busti. 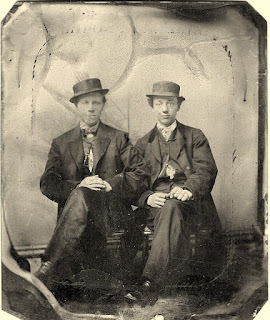 My interest is in the relationship between William Henry Storum, Jr (1815-1888) and Elias Sanbury (1812–1888) during their three-and-a-half decades as neighbors. Elias Sanbury was born Elias Samuelsson 18 February 1812 at Åstugan, Hässleby parish, Jönköpings län and was known in the army (Smålands husarregemente) as Elias Sandberg and later went by a phonetic spelling of this surname – Sanbury. After leaving the military he married Christina Charlotta Carlsdotter Berg – both were from career military families. Elias and his wife emigrated from Vena (Hvena) parish in 1851. 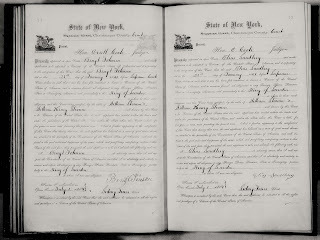 They traveled with his wife’s parents from Hässleby parish aboard the Swedish bark Preciosa and during the crossing had their first child, Carl.2 They arrived in New York City on 8 September 1851. 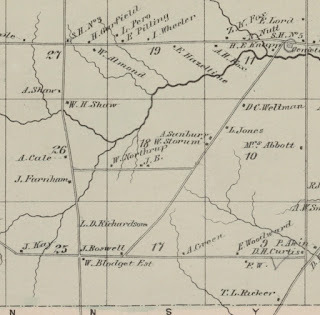 Sanbury and his family spent the winter near Chandlers Valley, Warren County and then purchased/leased a house and farm from William Storum, Sr. in 1852.3 Two more children4 were born to the Sanburys at this farm. Elias Sanbury worked this land the rest of his life and died 15 September 1888, likely at his Busti farm. His wife Charlotte died in 1897. Princess Firyal Map Division, New York Public Library. A review of the Agricultural Schedules of the censuses for 1860, 1870 and 1880 show that the farming activities of Sanbury were similar to the Storum farm. They had good land, good animals and relative prosperity. William Henry Storum, Jr. was born about 18155 in Oneida County, New York . His family arrived in Chautauqua County in 1816 and settled on 100 acres of wilderness in Lot 18, Town 1, Range 12 purchased from the Holland Land Company. After nearly 35 years of raising their family on this farmstead, his parents, William and Sarah Storum, had developed 75 acres and retained a woodlot of 25 acres. In 1850 their farm produced 500 lbs. of maple syrup (about 45 gallons/170 liters), plus 800 lbs. (360 kg) of butter and 100 lbs. (45 kg) of cheese from eight well-valued milk cows. They took 30 tons of hay from their meadows, sold $25 worth of orchard products (likely apples) and grew a mix of wheat, oats, corn and potatoes. The primary work of the farm involved a herd of 400 sheep (possibly Merino) that produced 877 lbs (400 kg) of wool. In addition to the sheep and milk cows they had 4 horses and 20 head of cattle. Lewis Clarke purchased two tracts of farm land (Lot 10 and 9) adjacent to the Storum farm in 1850 and this was the residence of Charlotte Storum and Lewis G. Clarke as newlyweds in 1850. Charlotte died that year. The farm production listed above does not include the additional yield from this second farm run by son-in-law, Lewis Clarke. That farm was reported to be 35 acres of developed land and 25 acres as undeveloped woodland. 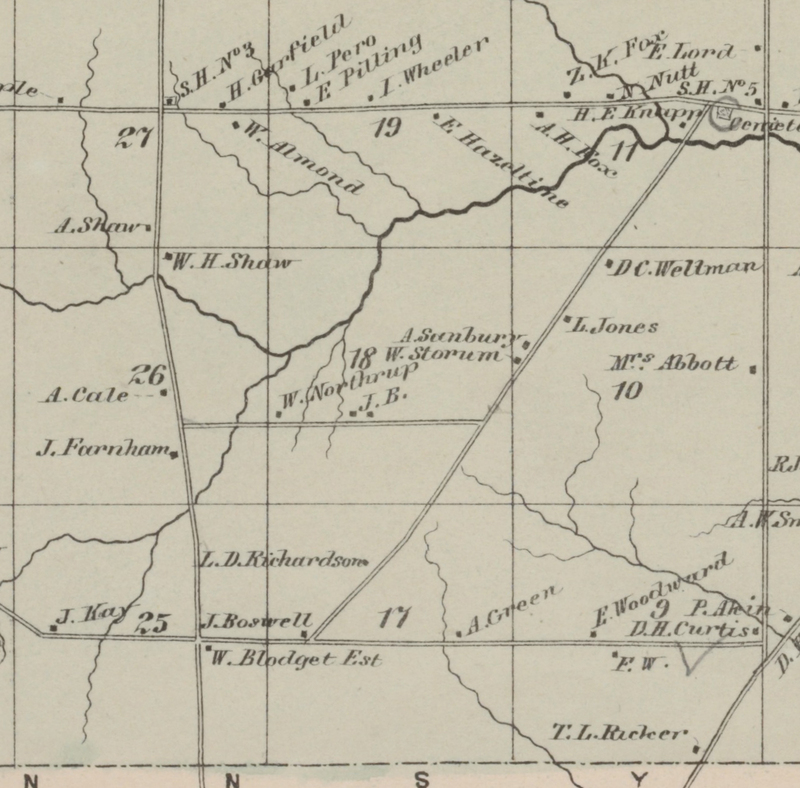 The 49 acre tract was sold by Clarke to William Storum in 1852 (Chautauqua County Deeds, Liber 63, page 37) and this was then sold to Elias Sanbury (whose title was registered in 1856). Clarke sold the 8 acre tract to Daniel Larkins (Chautauqua County Deeds, Liber 63, page 62). It was this farm that hosted Frederick Douglass when he traveled to Sugar Grove in June 1854 for a convention of abolitionists. Like most others, he was impressed by the Storum family. “...The crowning Convention was held Saturday and Sunday, in a beautiful grove in SUGAR GROVE, Warren County, Pennsylvania, about three miles from Busti. The responsibility of getting up this meeting rested upon the Storum family at Busti - an enterprising family of farmers, well to do on the world and when I tell you that these industrious and well to do farmers are of the color of you and me, you will derive from it the right lesson, and draw from it the right hopes for our whole people. I observed that this family (it is a large one) had so deported itself, that the white people, among whom they moved, appeared to regard and treat them precisely as respectable people ought to be treated. Mr. and Mrs. Storum went from Utica into Chautauqua County, nearly forty years ago, and carried all they then owned on the back of a single ox. There were no roads then as now; they traveled in the woods, by cuts in the trees and reached their present home at the need of three weeks. They have raised a large family and are now surrounded with every needed comfort, and withal, are not too old or worn out to enjoy it. The example thus glanced at, is worthy to be followed. I call upon colored men in cities all over the country to turn their faces to the wilderness, and follow the brave example set them by Mr. and Mrs. Storum..."
We don’t know what Frederick Douglass thought about the Swedes. Tragedy hit the Storum family in the 1850s. In addition to Charlotte Storum's death as a newlywed in 1850, there were three other losses. Sidney Wills, Sarah's oldest son by her first marriage, who had also lived and worked on the farm, died in 1854 at age 43. Sarah Storum, herself, died from an apparent stroke in 1856 at age 66. The youngest son, Richard Storum, died at age 19 in 1857. The agricultural census for 1860 noted that the Storum farm no longer raised sheep, but continued with their other livestock and crops. The family's personal losses seem to explain this redirection of the farm, although there had also been a continuing downturn in wool prices. By 1860 William Storum, Sr. was seventy-two years old and the work of the 140 acre farm would have rested on the shoulders of William Henry Storum. William Storum, Sr. died at age 86 in 1874. Census reports suggest that William Henry carried on with the farm for the rest of his life. William Henry Storum, Jr. died 8 December 18887 in Busti, three months after Elias Sanbury. He had never married and the farm was sold outside the family by the remaining heirs. The few family anecdotes that I have read suggest a warm relationship developed between the Storum and Sanbury families. Hopefully additional research will turn up relevant and substantial details. Speculation about the experiences of these two families is attractive. Elias Sanbury was ex-military and likely formidable.8 His son was described in his obituary in 1911 as a giant of a man with incredible strength. Stories in the Storum family likewise indicate that William Henry Storum, Jr. was a big man.9 It is not unreasonable to consider that the Sanburys may have been sold their farm as a means towards added protection for the Storum family during this era of the Fugitive Slave Law and their active role in the underground railroad. These neighbors were physically close, a situation that was unusual in these rural areas. The second Storum house was likely built for one of their children. Once the Sanbury family moved in this would have made an unusual social situation. The map above shows the proximity of the two houses. The contrast and similarities of these two men lacks evidence. A timeline of these two families in the 1850s follows the endnotes. The colored people of Jamestown desire us to return their hearty thanks to their fellow citizens for the aid and sympathy rendered in helping them to take part in the celebration of the ratification of the 15th Amendment, at Corry on the 26th inst. They desire also to return special acknowledgement to Mr. L.H. Tideman, for the banner he painted for the occasion - the finest one that appeared in the procession. 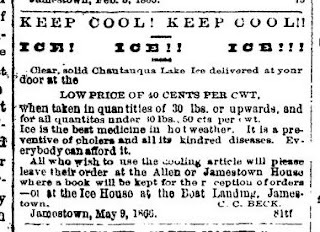 Source: Jamestown Journal, May 6, 1870, p 8. The blues singer, Lizzie Miles, started her touring career at fifteen working with the Jones Brother Circus and the related minstrel shows and stayed with the Jones circuses for four years. Her interviews in the late 1950s seem to indicate a fond memory of the Swedish-American show owners. The Storum family is significant not just in local history, but in our national history: 1) the family arrived in Chautauqua County in 1816 and purchased a tract from the Holland Land Company which they developed into a prosperous farm; 2) the family was instrumental in the anti-slavery movement of Sugar Grove and were virtually the hosts for the Sugar Grove Convention in June 1854; 3) the family’s farm was a real stop on the underground railroad and was the site of the William Harrison abduction in 1851; 4) the Storum daughters married two influential leaders in the anti-slavery movement, Rev. Jermain W. Loguen and Lewis G. Clarke; and 5) the family’s pioneer independence, prosperity and African-American roots served as a referential example of black potential in America to Frederick Douglass who later influenced Abraham Lincoln’s thinking about the post-slavery place of African-Americans in the United States. Charles Sanbury [1851.090] was born 6 Aug 1851 At Sea and died 28 Mar 1911 Busti, Chautauqua County. Birth date based on obituary in Vårt Land, 30 March 1911, p 1. 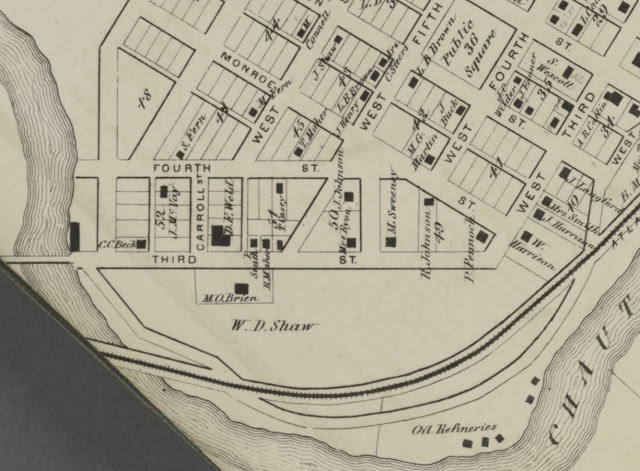 "After a year in Sugar Grove in the Patchen neighborhood [just west of Chandlers Valley], they settled in Busti, in 1852, on Sanbury Road, (named after them) on a farm which they bought from ones who had purchased directly from the Holland Land Company." Lucy Darrow Peake, Biographies of the early families of the town of Busti, Chautauqua County, New York, p 49. Title for this property was registered in Mayville in 1856, See Chautauqua County Deeds, Book 73, p 218. Mrs. August (Julia) Lindquist (1854-1941) and J. William Sanbury (1858-1944). His birth date is listed in family trees posted on Ancestry.com as 19 October 1814 in Whitesboro, Oneida County, but I have not corroborated this date. His age was consistently reported in the U.S. censuses. Death Certificate No. 42660. I have not yet checked the original. Referenced in the NY State Death Index, New York Department of Health, Albany, NY; data available in Ancestry.com. New York, Death Index, 1880-1956. Muster rolls for his regiment are available online and provide brief descriptions of each cavalryman and substantial information about his horse. These muster rolls have not yet been checked. His son's physicality was described as: "I sin ungdom var den aflidne en veritabel jätte och i lyftandet af tyngder kunde få mäta sig med honom." roughly translated as In his youth, the deceased was a veritable giant and unsurpassed in lifting weights. Vårt Land, 30 March 1911, p 1. 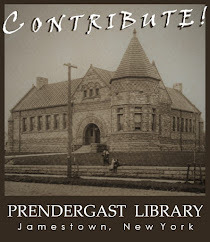 A blog by Jane Beecher about the Storum family provides personal details, much based on her research in the Gregoria Fraser Goins Papers at Howard University. Mrs. Goins was the great-granddaughter of William and Sarah Storum. See Carver C. Gayton, When Owing a Shilling Costs a Dollar: The Saga of Lewis G. Clarke, Born a "white" Slave. Xlibris, 2014, for biographical details. Obituary published in The Weslyan (Syracuse), Vol. XIV, No. 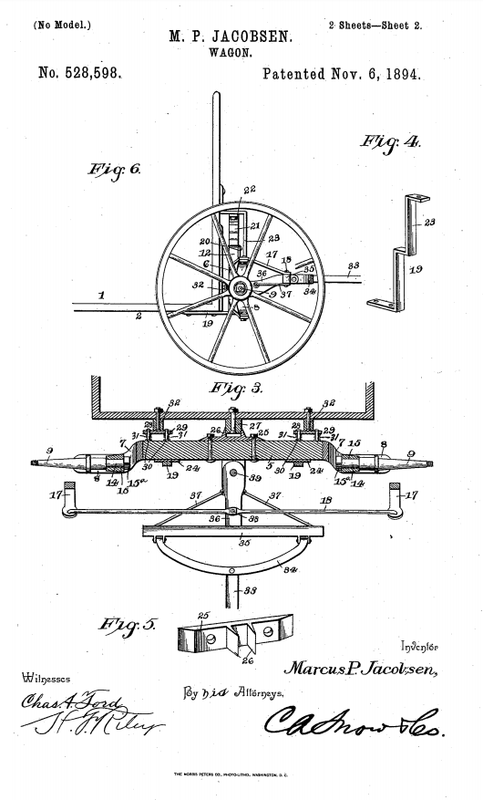 141 (September 10, 1856), p 2. SARAH STORUM. —Died in Busti, Chautauque Co., N. Y., July 30, 1856, Sarah, wife of Mr. Wm. Storum, aged 66 years. Mrs. Storum was in the enjoyment of usual health, surrounded by a party of kind friends and neighbors, who had come to make her a social visit, and while preparing with her wonted cheerfulness and sociability for their entertainment, was seized with Paralysis, which in a few short hours effected her dissolution, and the immortal "spirit returned to God; who gave it". Thus the scene of social pleasure became very unexpectedly, the scene of unutterable sorrow and lamentation; showing that, "in the midst of life we are in death," -- and....[illegible]... Be ye also ready,man cometh." 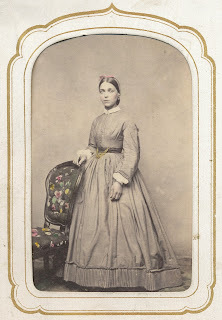 The deceased enjoyed more than an ordinary share of the confidence and esteem of the community in which she had long resided, and also that of an extensive circle of friends and acquaintance, by whom she was frequently visited.— Mrs. Storum was a woman of superior mould both physically and mentally; and though denominated "colored," yet few ladies of any complexion excelled her in gracefulness of person or manners. Possessed of a vigorous constitution, of a mind of superior capacity, and having the heart of a kind and virtuous woman, she was indeed a wife, a mother, and a mistress of a family, of whom her now much bereaved partner, might well feel proud. She came to this town 40 years ago, with her husband and three young children. With their ax, a yoke of oxen, and a few household goods, they penetrated the dense forest and became the pioneers of this. country. Locating themselves upon land that they occupied at the time of her death, they, by their industry and the blessings of a kind Providence, caused "the wilderness to bud and blossom as the rose." The writer visited for the first time the family of the deceased, about 22 years ago, and found beneath her roof, those evidences of neatness and comfort which few of the surrounding families then exhibited. She was not only the presiding angel of her own domestic circle, but also, the "ministring angel," of the afflicted in the neighborhood where she lived, — her sympathetic nature, her patient industry, and her superior taste and neatness in the management of household affairs, made her a welcome visitant at the bed side of the sick, and in the house of mourning. Indeed, her worth is generally acknowledged throughout this community; and though the "prejudice of color" is not entirely conquered here, yet her good sense, her superior virtue, and her lady-like deportment, were strikingly calculated to silence the ravings of this foul spirit. She was the agree- able companion and associate of the comparitively wealthy and aristocratic, as well as of those in "the humble walk of life." But, may I not say, she has a record on high of a nobler charity and a more disinterested benevolence than any we have mentioned! Yes, she ministered to the wants of the "brethren of Jesus Christ" —those crushed ones who"could not recompense her again." The panting fugitive, sick, weary, ragged and desponding, has oft found shelter and relief with her and her family, and many such will rise up and "call them blessed." It is this disinterested benevolence to suffering humanity, springing from a principle of faith and love to the divine Redeemer that is special matter of record in Heaven; and this record will be brought forth in the day of final judgment; then the true philanthropist will hear from the lips of the Judge himself, the pleasing and astonishing declaration, "I was hungry and ye gave me meal, I was thirsty and ye gave me drink, I was a stranger and ye took me in, naked and ye clothed me; I was sick and ye visited me, I was in prison and ye came to me; and when with pleasing amazement they shall ask, "Lord when saw we thee hungry and fed thee, or thirst and gave thee drink? When saw we thee a stranger and took thee in or naked and clothed thee? or when saw we thee sick, or in prison and come to thee?" When, pointing to these cr… ones who have "come up out of great tribulation," and whose bitter tears of sorrow have been bottled in Heaven." He will say, "Inasmuch as ye have done it to the least of these my brethren, ye have done it unto me; ...[?] ye into the joy of your [?]. Our departed sister had long professed faith in the Lord Jesus Christ, and though not ableto say much in her last moments, of Christ and Heaven, yet her friends have a pleasing hope of a blessed reunion with her in the kingdom of our Heavenly Father. Her funeral called out an unusually large congregation, though in the midst of hay-harvest. An appropriate discourse was delivered by the Rev. W. D. Henry, to a very attentive and deeply sympathizing audience. 18 Sep 1850 Fugitive Slave Law of 1850 takes effect. 17-18 Sep 1851 William H. Storum is a delegate at the National Liberty Party Convention in Buffalo. Rev. J.W. Loguen and Gerrit Smith are also delegates. The National Committee includes Frederick Douglass and James Caitlin of Sugar Grove. Unclear if this was William Storum, Sr. or William Henry Storum, Jr.
1852 Elias and Christina Charlotta Sanbury settle on 48 acres leased/sold by William Storum. Jun 1854 Sugar Grove Anti-Slavery Convention with speaches by Frederick Douglass, J.W. Loguen and Lewis Clarke, all of whom likely visited the Storum family at the farm in Busti. This census is a bookend for my research - a last snapshot of the Swedish community in Chautauqua County prior to the deluge of Swedish immigrants who began arriving at the conclusion of the Civil War in 1866. 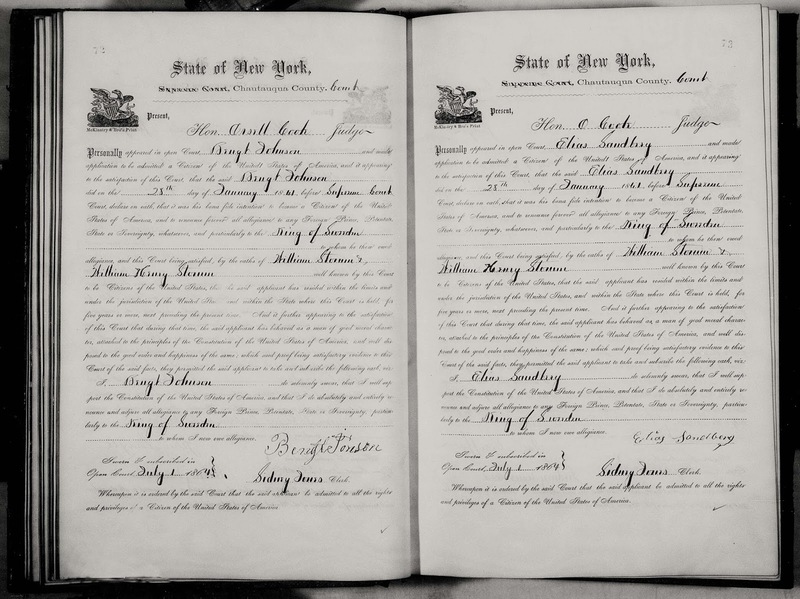 Just like the 1855 New York State Census, there is no comparable information available for the communities in Warren County across the state line. The most important information found in this census is the identification of Swedish immigrant participation in the American Civil War. Most of these details have been reviewed in two previous blogs. This census included a question about the “number of times married” – this revealed several second marriages that I had not discovered from earlier references. 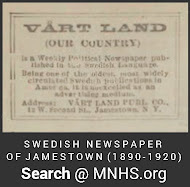 By 1865, the Swedish communities in Jamestown and Sugar Grove had become established and they began attracting Swedes who had first settled in other areas. I have found a few examples of Swedes from the Midwest and Gold miners from California who moved into our area. Plus there were several Swedes and Danes from Buffalo who also chose to relocate to Jamestown and Warren. 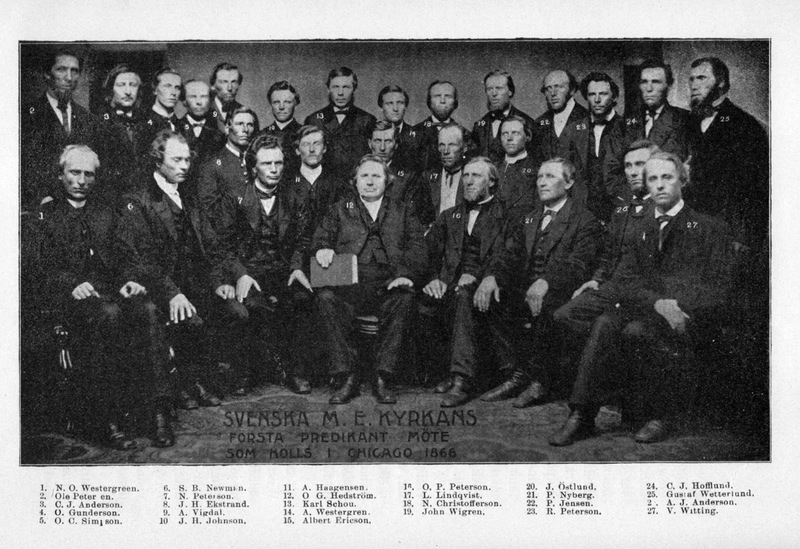 Several of these new settlers had been living in America years before the first Swedish community was established near Sugar Grove in October 1848. Swedish settlements had already developed in Brocton (aka Salem or Salem Crossroads), Levant and Frewsburg, but during the Civil War there were new enclaves emerging in Mayville and Hartfield, Randolph (Cattaraugus County), Corry (Erie County, Pennsylvania) and Kane (McKean County). Soon there were Swedes everywhere. Charles Johnson, a Swedish sailor with an Irish wife named Bridget, was enumerated in Buffalo in 1850, 1855 and 1860 and then settled near Silver Creek or Forestville before 1865. Johnson was born about 18151 and indicated that he had been living in Buffalo since 1846 in the 1855 New York State census. That household also included a daughter named Margaret (born 1845 in Ireland) and a sister-in-law named Honora Green, born in Ireland in 1822 who had arrived in Buffalo in 1853. Margaret was listed as his child; however she may have been his step-daughter or niece.2 Charles Johnson likely worked as a shipwright in Silver Creek; he made several pieces of furniture that remain within his family. Charles Johnson died in 1883 and Bridget Johnson died in 1887 according to family notes. 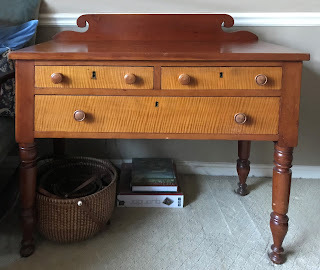 quarter-sawn maple front drawers, turned pulls, ca. 1870s. Carl Christian Beck was born 10 July 1826 in Karlshamn, the son of Danish master shipbuilder Niels Beck. 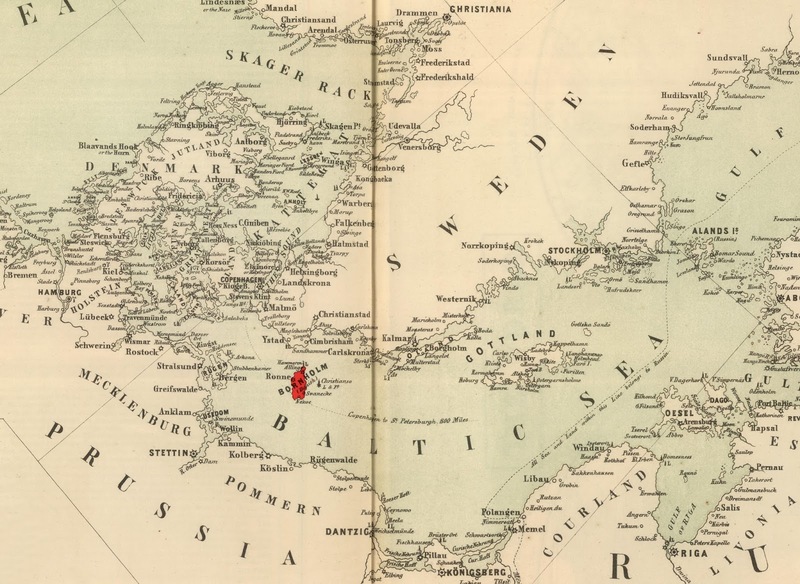 In 1845 he was living in Rønne Parish, Bornholm, Denmark and was working as a ship carpenter. He came to America around 1846 and settled in Buffalo. Beck worked as a shipwright in that Lake Erie port. C.C. 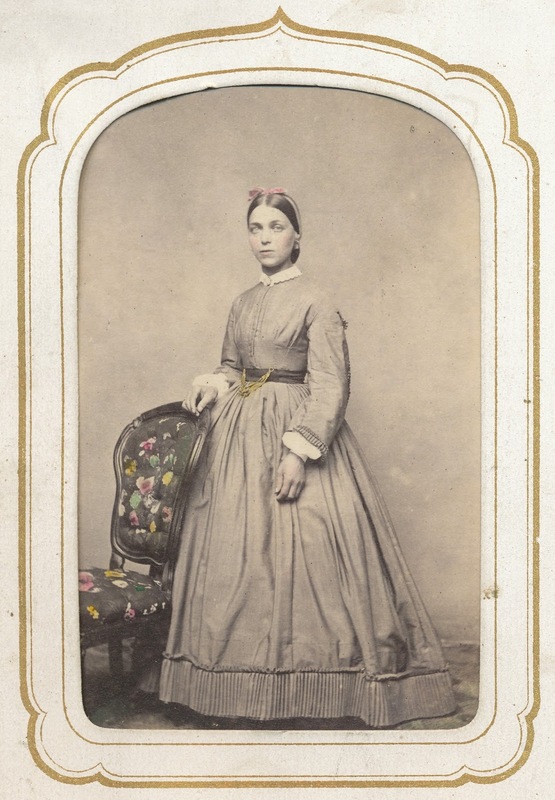 Beck married Caroline Christine Rønne, a Danish woman from Bornholm in 1852 and by 1855 they had been joined by his widowed mother in their household. His household in Buffalo was the likely base for Danes arriving from Bornholm who would settle in Jamestown. The Beck family moved to Jamestown about 1864 where C.C. 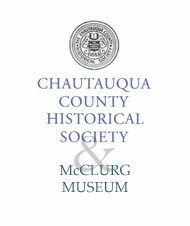 Beck opened a shop as a shipwright and built at least one of the steamships that worked Chautauqua Lake. 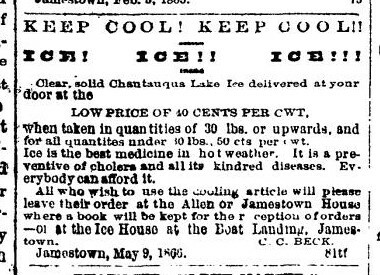 He also seems to have begun the commercial ice industry on Lake Chautauqua. The Col. William Phillips at Mayville, 1875. 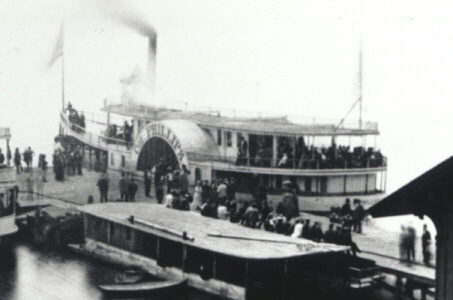 This steamboat was built by C.C. Beck with a length of 126 feet (38.4 m) and a a beam of 16.5 feet (5 m) and was launched in 1873. 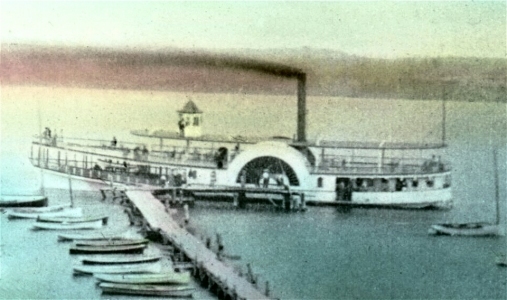 Source: Bob Johnston, Chautauqua Lake Steamboats, Chautauqua County Historical Society member pages. Photo likely from the collection of Victor Norton, Jr.
Sven Bernhard Newman was born in Väsby parish, Skåne in 1812 and arrived aboard a ship carrying Swedish iron billets to New York City in 18423 to join his older brother, who was a merchant in Mobile, Alabama. S.B. Newman became a Methodist and began preaching in 1845. He was called from Alabama in 1851 to work in the Bethel ship ministry in New York City with O.G. Hedstrom and then was sent in 1852 to serve the Swedish communities in Chicago. 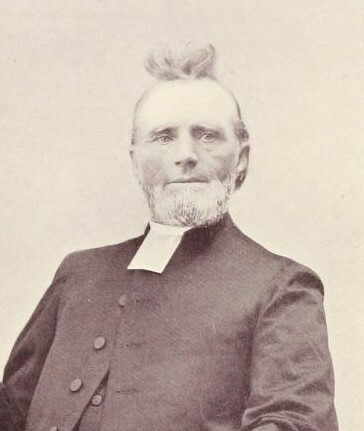 Newman returned to New York City and the Bethel ship ministry in 1855, married Erika Kristina Dandanell from Gävle in 1858 and then came to Jamestown in 1859. After seven years as pastor in our area, he returned to Illinois in 1866, ministering first in Galesburg and then back in Chicago. S.B. Newman died in Chicago in 1902. Pastor Sven Bernhard Newman in 1866. Newman is seated in the first row, second from the left (No. 6). Source: Witting, p 508. The Hultgren family settled in Henry County, Illinois. Carl Otto decided on the ministry and was mentored by Rev. Jonas Svensson, who served the Andover congregation in Henry County after leaving Sugar Grove and Jamestown in 1858. C.O. Hultgren was one of the early graduates of Augustana seminary and came east in 1864 to serve the same communities that Swensson had served a decade earlier. In 1866 Hultgren returned to Illinois to marry Anna Truedson in Galesburg. C.O. Hultgren retired in 1896 and died in Jamestown in 1901. Rev. Carl Otto Hultgren, ca 1890. Part of the success of C.O. Hultgren among the immigrant community in Jamestown was almost certainly his family background. 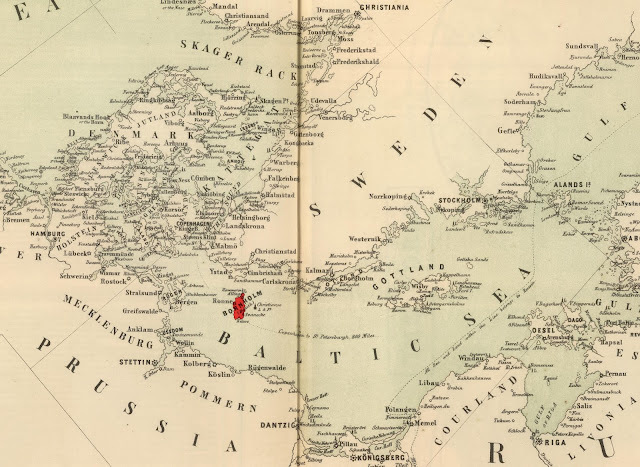 Two aspects differentiate Hultgren from his predecessor Jonas Swensson: 1) like so many others in the Jamestown area, his father had served in the Swedish army;6 and 2) Hultgren had been born in Vena and grew up in Målilla, two parishes in the very center of the area from which the majority of the immigrants in this region originated. 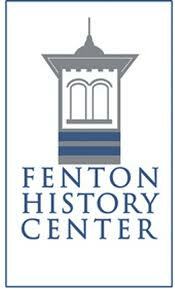 Hultgren’s long tenure in Jamestown literally built the Lutheran church in our area. The year of Briget Johnson’s birth is consistently reported in the censuses, about 1828; however, the age reported for her husband is listed in 1850 as 44 (1806), 1855 as 38 (1817), 1860 as 43 (1817); 1870 as 58 (1812); and 1880 as 65 (1815). His date of birth, origin in Sweden and arrival date have not yet been discovered. It is especially significant that the destination was specifically Buffalo as compared to New York. See NARA New York Passenger Lists. Sven Bernhard Sjöberg was born 16 September 1812 in the Höganäs coal mine community (Gruvan) in Väsby parish, Malmöhus län. His father was Jonas Sjöberg, a mine carpenter who died in a mine accident in 1820; his mother was Johanna Nyman. Victor Witting noted that Newman's brother, Charles Ludvig, had adopted his mother’s surname (Nyman = New man) in America and that Sven Bernhard had followed suit. Charles Ludvig Newman (1810 -1881) arrived in Mobile in 1832 according to his affidavit for citizenship 21 Nov 1842 in Mobile. (WPA, An Indexed catalog of minute entries concerning naturalization in the Courts of Mobile County, Alabama, Roll M.1, p 27). He married a local woman, Martha Moore in 1840 (Charles L. Newman, marriage bond, 9 Jul 1840 Mobile, Alabama). In the 1850 U.S. Census this couple was living in Mobile with an infant daughter. The household also included an Irish woman servant and six slaves. This family has not been located in the 1855 Alabama census and in the 1860 U.S. census the couple was living in San Francisco, California (without children). They are likely the family listed as "C.L. Newman, wife and 2 children" on the manifest of the S.S. Lewis who arrived 5 Jan 1853 in San Francisco from San Juan via Acapulco (source: Sacramento Daily Union, Vol. 4, No. 559, 7 January 1853). 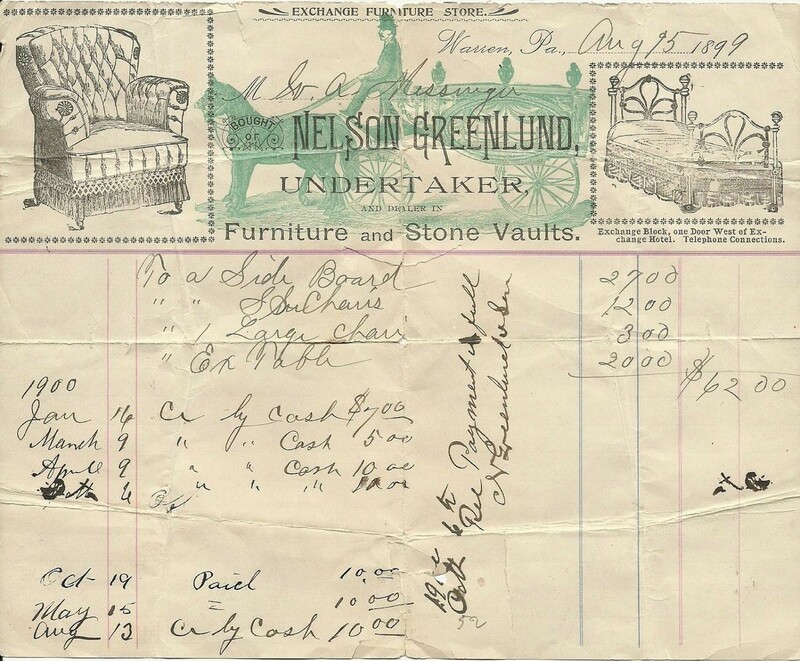 Charles L. Newman operated a hardware store and was co-owner of an auction house in San Francisco. He and his wife divorced in 1867, although he was listed as a widower in the 1880 census. He died in San Francisco in 1881; his will named S. B. Newman as beneficiary. Victor Witting provided information about S.B. Newman's emigration from Göteborg on 12 August 1842 – I have not been able to identify the ship. See Victor Witting, Minnen från mitt lif som sjöman: immigrant och predikant, samt en historisk. .. p 248-249. Most sources state C.O. Hultgren's year of birth as 1832; however, the baptismal record indicates that he was born 25 December 1831. 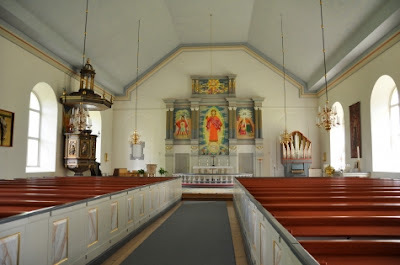 See Swedish Church Records, Vena CI:4 (1815-1836) p 209. Gustaf Fredrik Hällgren [1853.044 known in America as Gustave F. Holligreen] wrote a letter “Warning för Emigranter” dated 20 January 1854 that was published in Folkets Röst (Kalmar), No. 16, 25 February 1854, page 2. Hällgren's first cousin, Charles Gorman, and his family were passengers on the Franklin King and lost an infant daughter on that voyage. C.O. Hultgren’s father was Carl Magnus Hultgren who was in the Kalmar Regiment. Carl Magnus Hultgren was not a typical reservist; he served as a musician playing the hautboiste (a reeded instrument similar to the oboe and bassoon).